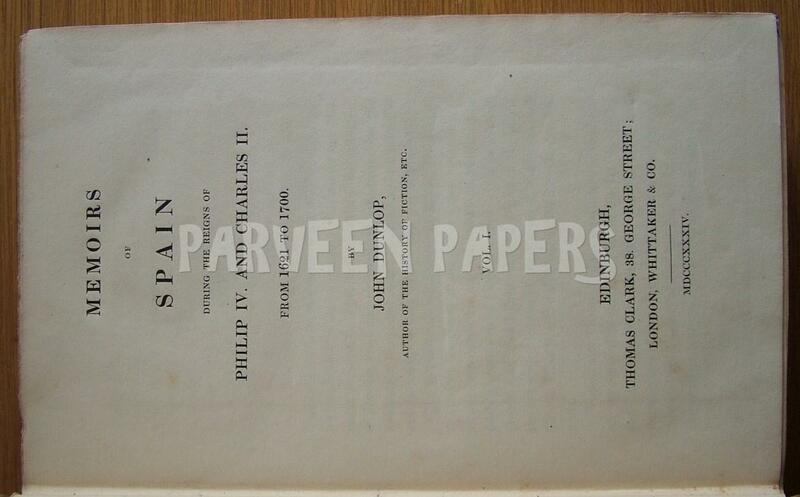 viaLibri ~ Memoirs of Spain during the Reigns of Philip IV. and Charles II. From 1621 to 1700. 2 Volumes. Memoirs of Spain during the Reigns of Philip IV. and Charles II. From 1621 to 1700. 2 Volumes.